Fish oil contains omega-3 fatty acids which, according to the University of Maryland Medical Center, promote healthy brain function and support cardiovascular health. They are also thought to reduce the risk of heart disease and may be helpful in treating some forms of depression. Many people choose to take a fish oil supplement because they either don't like fish or don't eat enough fish to meet the nutritional requirement. However, some supplements can cause unpleasant side effects, including unwelcome fishy flavor. Take fish oil capsules just before a meal. When the fish oil mixes with other food in the stomach, the undesirable taste and odor will mix with the flavors and odors of the other foods and be less detectable. Freeze the fish oil capsules before you take them to slow the breakdown of the fish oil in the stomach, which will lessen fishy burps and reduce fishy aftertaste. Even when frozen, the fish oil will still be effectively digested. 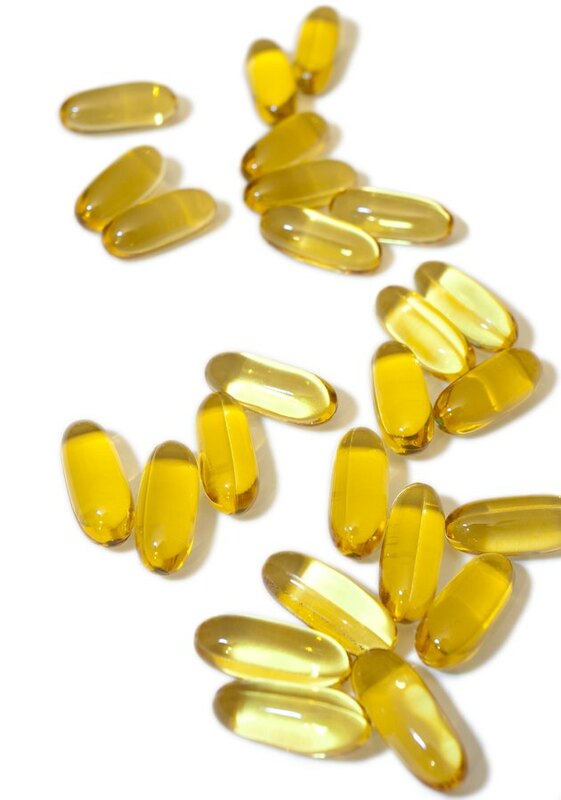 Take an "odorless" fish oil supplement. An odorless supplement has a specialized coating that allows it to pass through the stomach intact and dissolve in the intestines, where it won't cause an unpleasant aftertaste. Try a different brand. Your fish oil supplement may taste fishy because of the way the capsule is coated or because the fish oil used by the manufacturer isn't as fresh as it should be. Experiment with different varieties of fish oil, including flavored options that help mask the oil's natural taste. Fish oil can cause serious side effects, including a risk of bleeding and a dampened immune system, if taken improperly. Consult your doctor before consuming fish oil supplements.